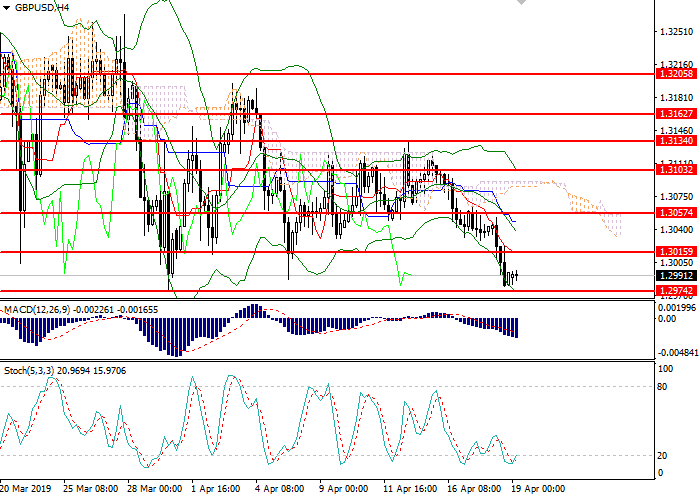 At the beginning of the month, the pair reached a local minimum and a key support level of 1.1175, failing to overcome it, turned around and formed an upward channel. The pair changed direction due to the favorable EU statistics on industrial production, the labor market and key indices. An additional factor was the negative data on US industrial production, consumer sentiment and inflation. At the end of the current trading week, index of business activity in Europe will be published, as well as US stats on retail sales, construction sector and labor market, which can support the dollar. In the medium term, the pair will continue to move within the downward trend. Most likely, starting from the current levels the price will decline towards 1.1275 and 1.1250. However, the possibility of an alternative scenario remains: the breakout of the upper limit of the wide downward channel can lead to a “triple bottom” pattern and a reversal with the target of 1.1430. Technical indicators confirm the growth forecast on the four-hour chart: MACD indicates the growth in the volume of long positions, and the Bollinger bands are directed upwards. Support levels: 1.1300, 1.1275, 1.1250, 1.1200, 1.1175, 1.1100. 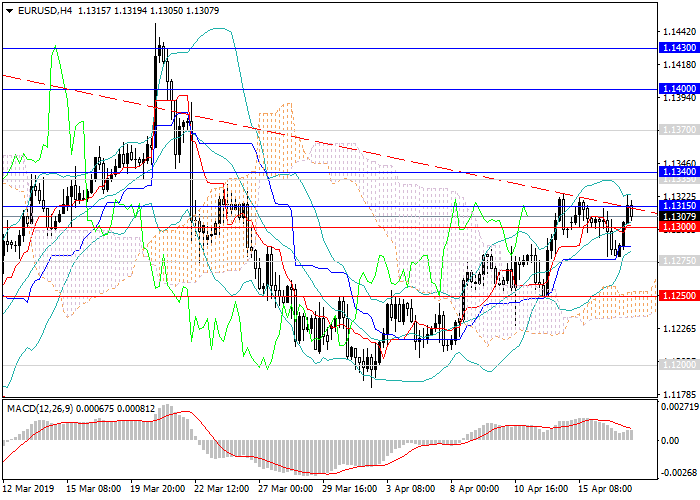 Resistance levels: 1.1315, 1.1340, 1.1370, 1.1400, 1.1430, 1.1500. In this situation, it is reasonable to open short positions at the current level with targets at 1.1200 and 1.1175 and a short stop loss at 1.1350.